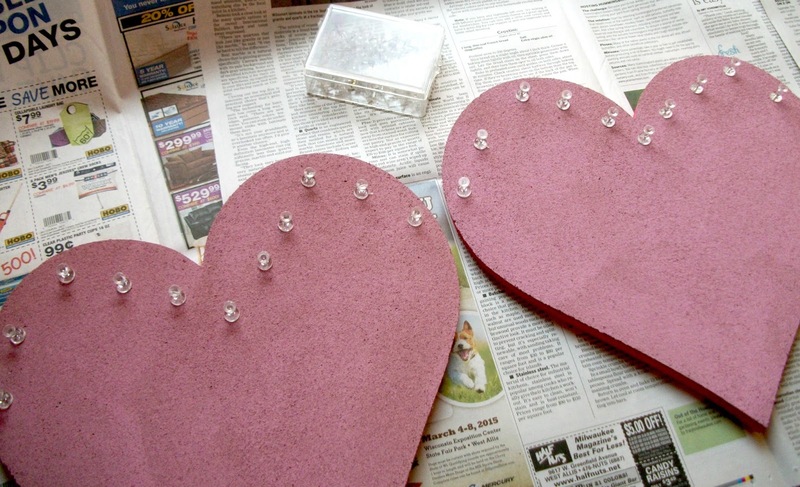 We had a couple of small heart shaped corkboards on hand. They are set up to hang on a wall but we wanted to paint the corkboards before hanging them. 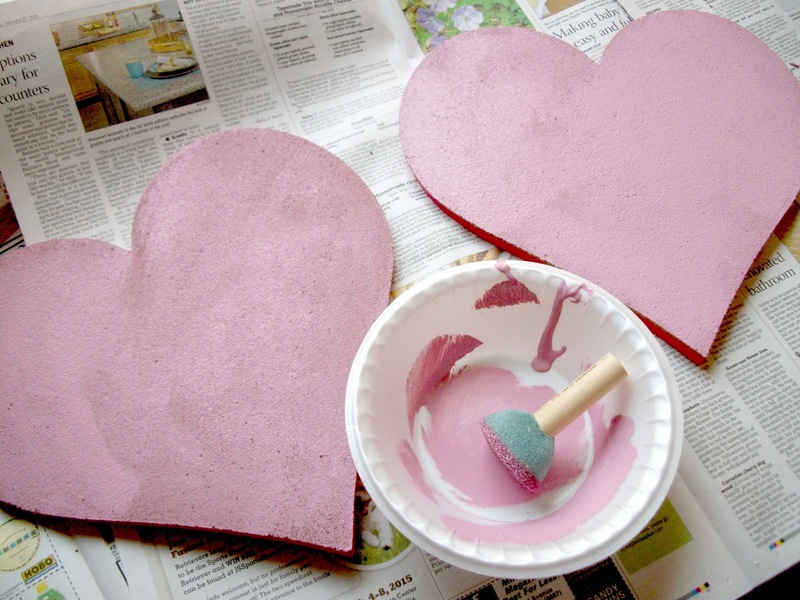 We choose to paint both corkboards pink using some craft paint we already had on hand. 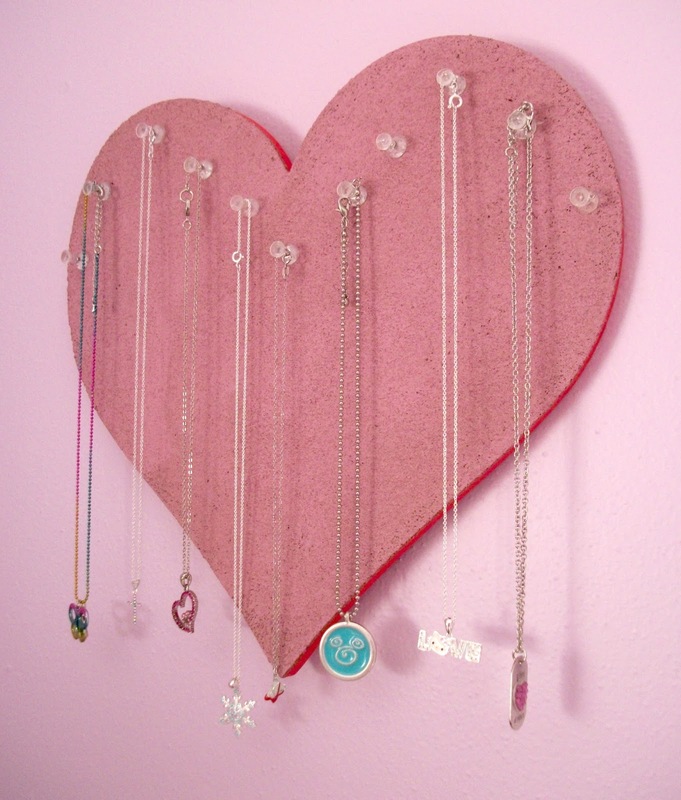 Next we glued in some push pins that we also had on hand to hang some necklaces from. 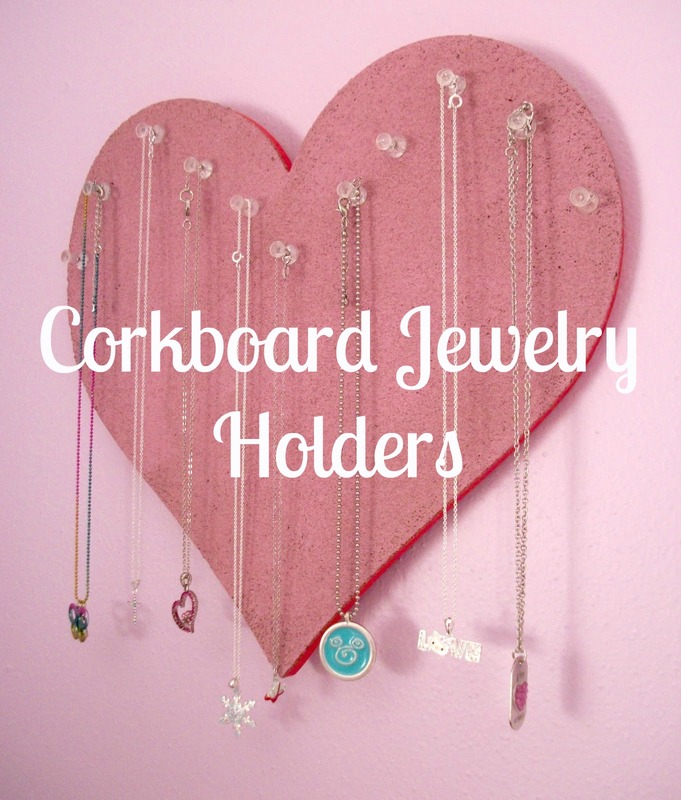 We are really happy with the way that the jewelry holders turned out and that we were able to upcycle some corkboards into a really fun way to organize some favorite fashion accessories.